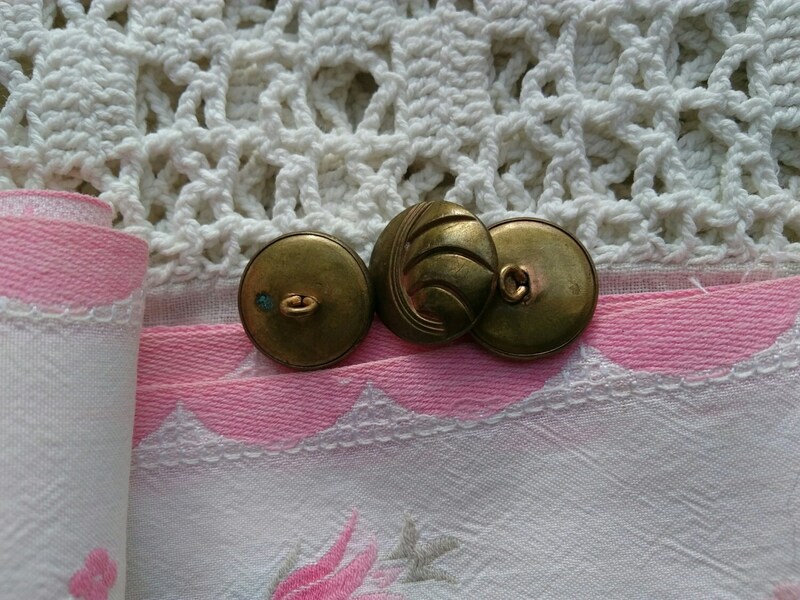 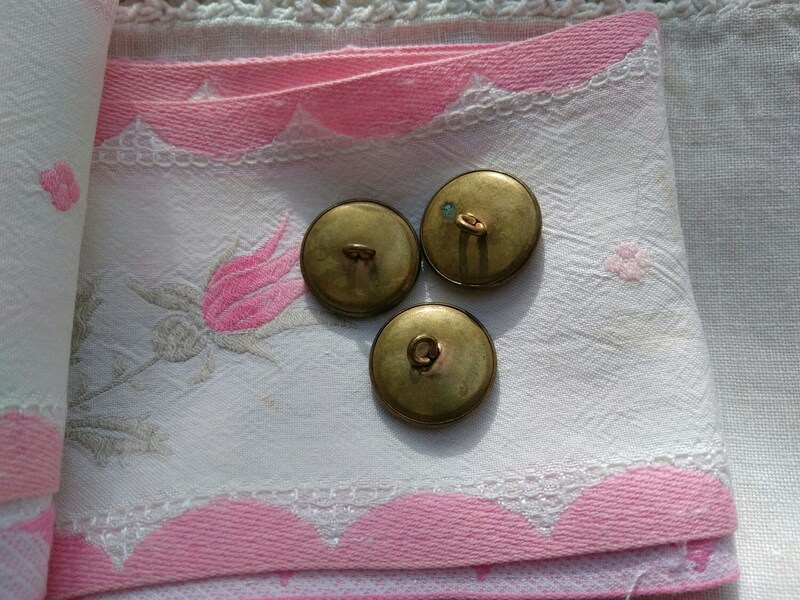 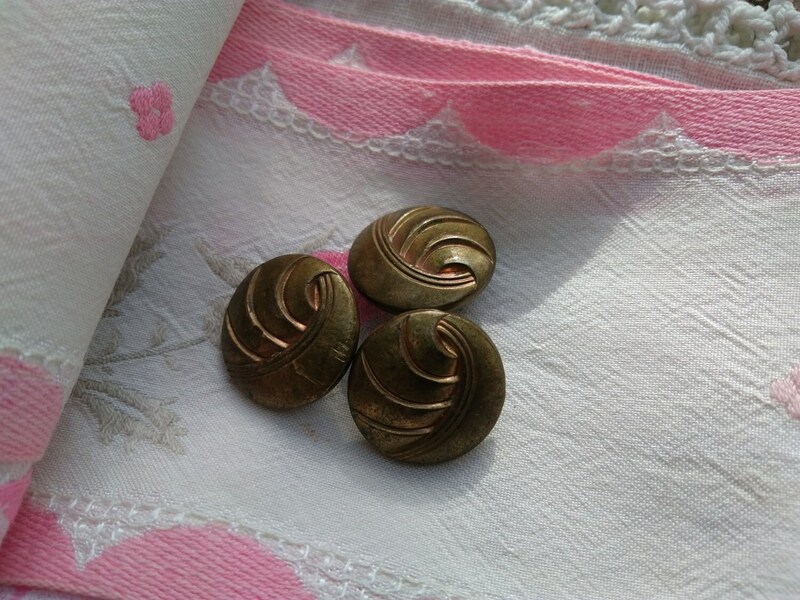 Gorgeous and Rare Brass carved Buttons - French made in 1930's . 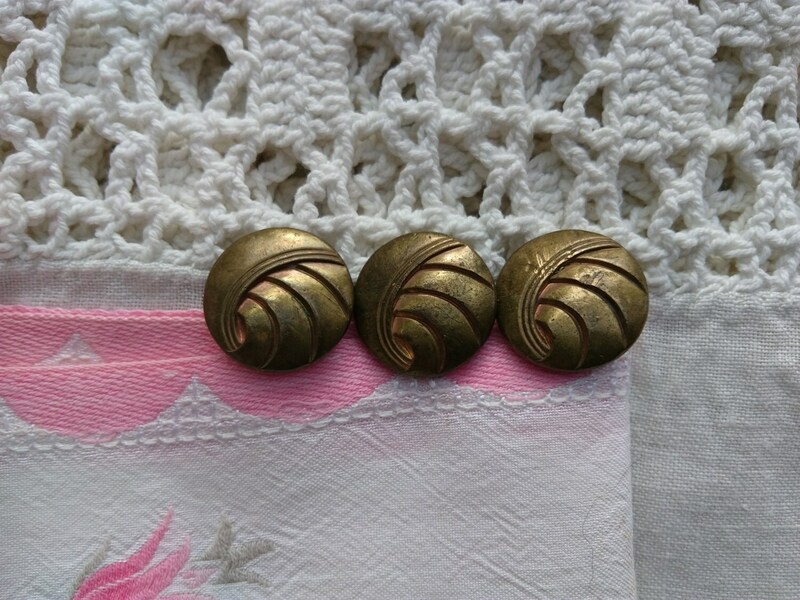 Art Deco Circles design. 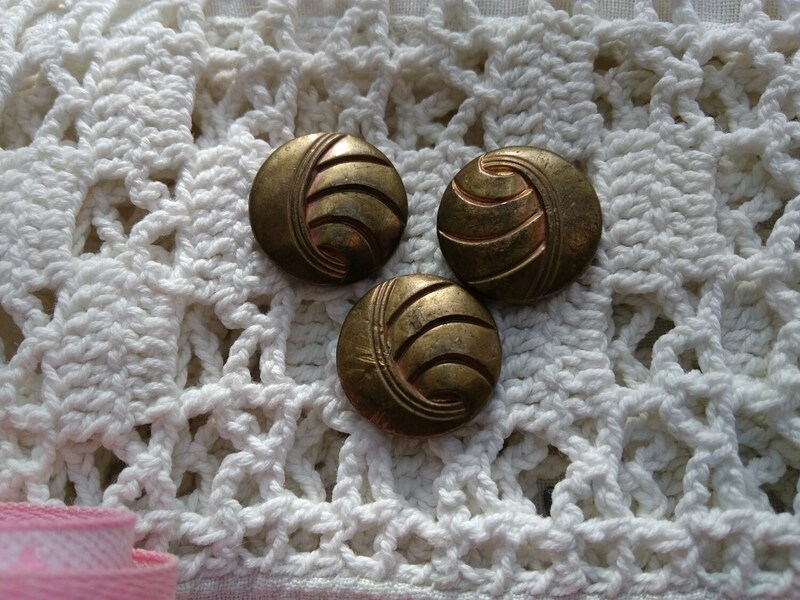 Set of 3 buttons Size : 0.8 in.=2 cm Unique set of brass buttons to keep as collectible or to be in use again or to decorate , to make very unique jewelry assemblage !